Mobile commerce or m-commerce is not a brand new trend anymore. Some people consider that its era is over and this exhausted market will not offer anything new. I belong to the majority, that doesn’t share this myopic view, and this article will contain the bedrock arguments. M-Commerce is purchasing and selling products online, using wireless portable devices such as smartphones or tablets. Users do not have to plug in to access the Internet. 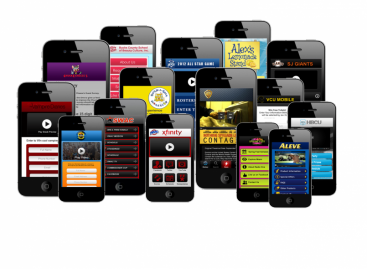 Statistics show that the M-commerce revenue constitutes $150 million this year. And this is via smartphones only. The numbers are growing and are expected to reach $350 billion in 2021. Are M-commerce and E-commerce the same notions? They are often confused, but there are distinct differences between these concepts. M-commerce came from E-commerce together with increasing progress in technologies. E-commerce is any kind of business that makes transactions on the Internet. Mobile commerce gives the possibility to sell and purchase using mobile devices. The statistics prove that mobile commerce makes nearly one-third of the total e-commerce revenue, and the percentage is increasing. 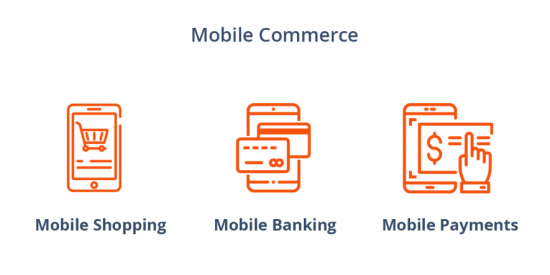 What are the types of M-Commerce? Presently we can define three constituents that make the mobile commerce: Mobile Shopping, Mobile Banking, Mobile Payments. Mobile Shopping is buying/selling goods with the help of portable devices. It can be done through websites, applications, and media platforms. Mobile Banking is the process of transacting money using your smartphone. Usually, special applications are needed, but today banks begin to use chatbots and message applications. Mobile Payments allow users to settle the bill in one click using mobile wallets. Most popular payment technologies are Apple Pay, Amazon Pay, Visa Checkout, PayPal One-Touch. How big is the revenue M-Commerce? Mobile shopping, banking, and payments became popular over the few last decades, and the number of people using this technology is constantly increasing. This is the driving force that builds up the revenue. 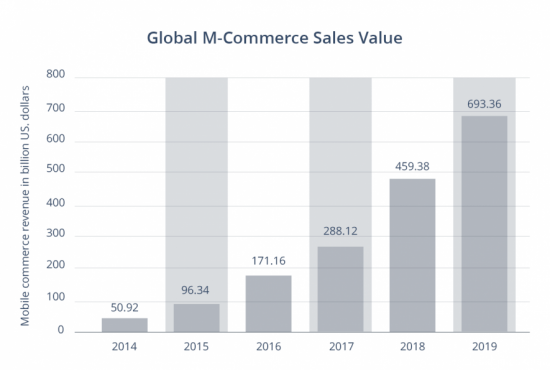 According to Statista, the world m-commerce revenue grew from $50 billion in 2014 to $459 billion in 2018. 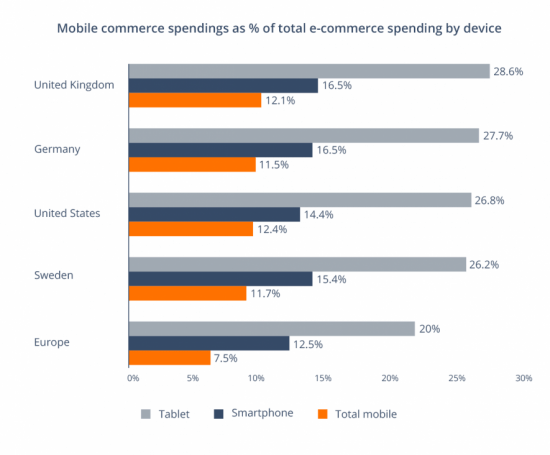 What are the trends in the M-Commerce market? Where there’s demand, there’ll be supply. A mobile device becomes a multi-functional tool present in all spheres of human life. 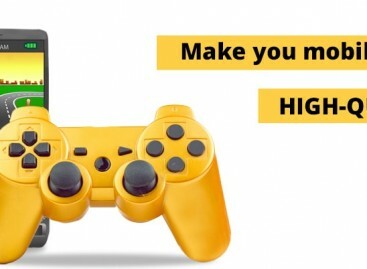 Its functions go far beyond making calls or watching videos. The future m-commerce trends will continue to surprise even advanced users. Chatbots. The majority of m-commerce applications continue to implement chatbots to maintain feedback with their users. The chatbots can respond to clients 24/7 in the real-time and help to learn more about their shopping experience. Augmented Reality (AR). AR impressed and interested shoppers, and 71% of them prefer to use apps with AR. 40% will use AR before buying a product, and 60% users give preference to brands that implement AR. One-Click Payment. Users of some mobile apps or platforms do not have to fill in/choose the characteristics of a product they want to buy again. 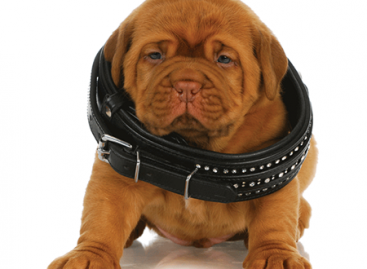 Enter the site, select a good and buy in one click. This technology will stay at the peak of the most popular future trends. IoT. Internet of Things is a net of million electronic devices that collect and share users’ data. Starting with a smartwatch and ending with the pillow talk. Such things will never go out of fashion. Cloud-based Services. Their penetration in mobile development will continue. Centralised data storages and app provision in the cloud environment, will enable more lightweight and cheaper devices and reduce their maintenance costs. Each time it is a client who decides through his/her choice what is in trend, what is user-friendly and what innovations will not stay too long. Development of the mobile commerce market, its popular technologies, and growing revenue demonstrate that the nearest future will be full of trends able to fit in your smartphone.